Okay, so it’s been a few days with the MINI and so far I’m a fan. I do have some complaints, though. 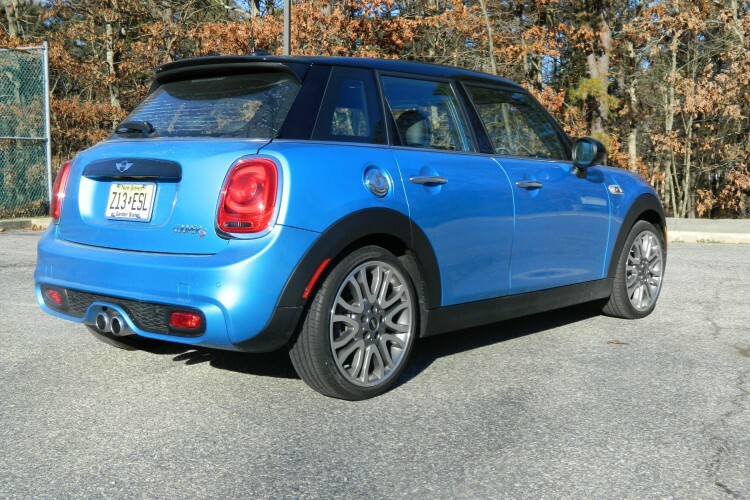 The particular Cooper I’ve been driving has the optional 18″ wheels with Pirelli Cintaro, all-season tires and the optional sport suspension. Normally I’m a fan of firmer suspension, however this is too stiff. 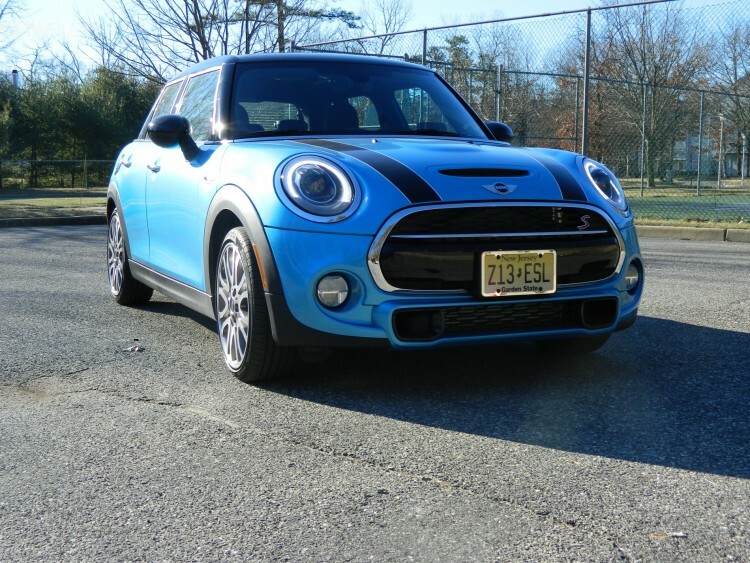 The MINI will almost jump lanes when hitting a bump at high speed. The dampers don’t really dampen too much and the car seems to just bounce. I find it unnecessary in a car with such a good chassis and that is so low with a short wheelbase. The car generates a lot of grip as it is, so there isn’t much need for such a stiff suspension. The 18’s do look good, though. Complaint number two is the Auto Start/Stop. I’m not really too annoyed with the actual feature itself, but the fact that it seems to be inconsistent. It’s not supposed to work in sport mode, but sometimes it does and sometimes it doesn’t. However, there is a switch to turn it off when it gets annoying. Complaint number three is the trunk. I know this is the 4-door version and it has better back seats, but they aren’t much better than the coupe’s, yet they ruin trunk space. The trunk, with the back seats up, is big enough to hold a medium-sized envelope and that’s about it. Although, the back seats do fold down and they also have excellent access to the child seat LATCH system. So I can understand the trade off. 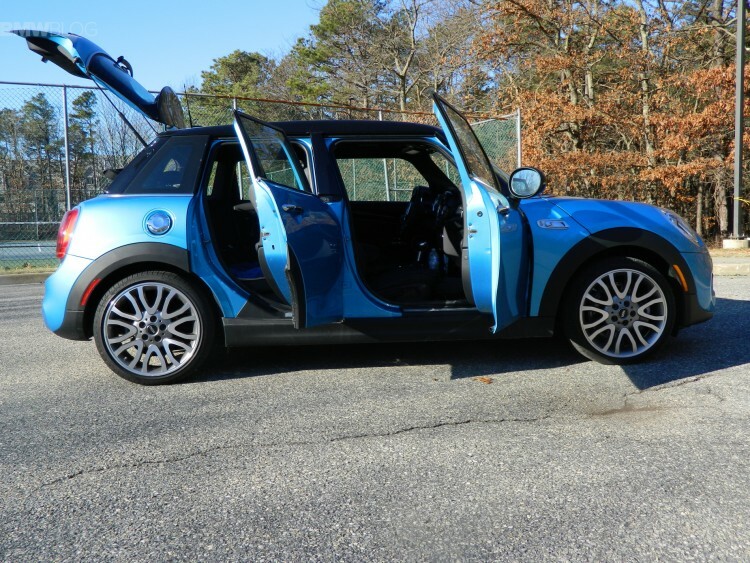 This is the Mini for a young family. Other than those few gripes, the MINI has been a pleasant companion. I’ll have more on it soon, but as of now I’ve enjoyed the little bulldog.